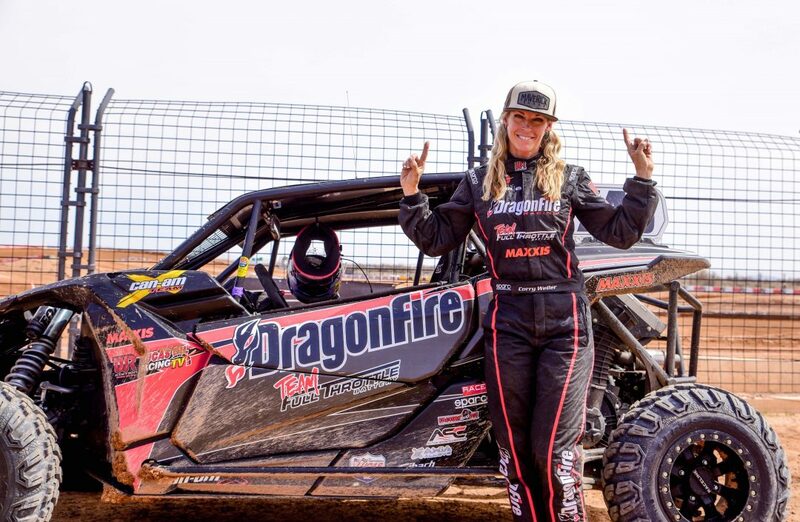 Weller Racing / Can-Am pilot Corry Weller won her debut races behind the wheel of her new DragonFire Racing / Full Throttle Battery-backed Can-Am Maverick X3 X ds side-by-side vehicle at the opening rounds of the Lucas Oil Regional series in Arizona. 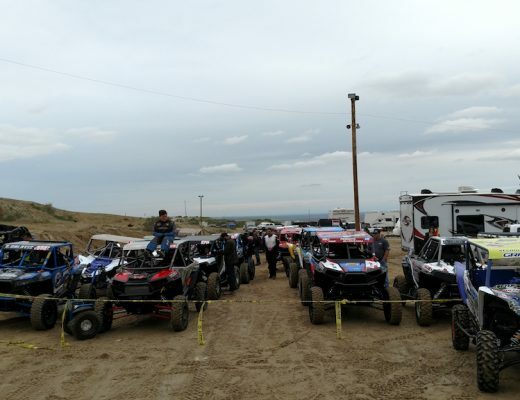 Weller, who had just one full day to test the brand new short-course Can-Am Maverick X3 build, started off hot, winning both of her qualifying races, before backing up those times with two convincing victories in the UTV Turbo Production class. Weller, who has been racing short-course events since 2007 and has TORC and LORORS titles on her racing resume, said the width was similar to her previous race vehicle and is nimbler for this short-course racing series than the wider Can-Am. 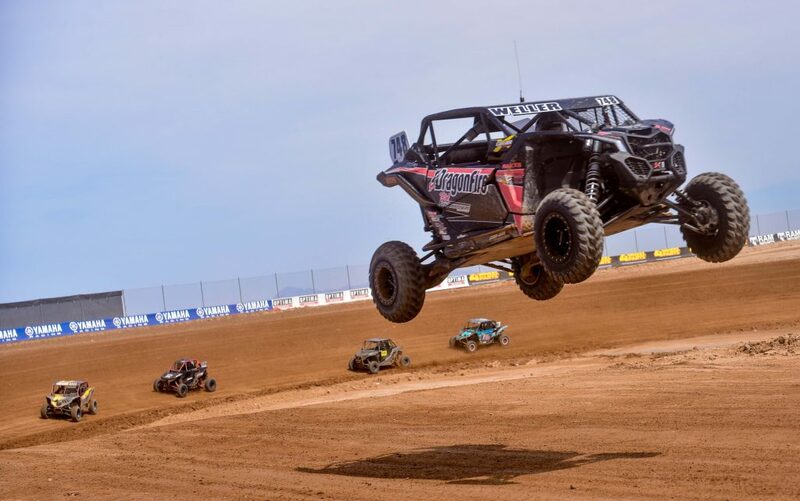 Weller had great success in here season debut with her Weller Racing-tuned Can-Am Maverick X3 X ds, winning both qualifiers and earning a double victory at the opening round of Lucas Oil Regional series in Arizona. She also said her new Rotax-powered Can-Am is fast and really fun to drive. Weller, the winningest female short-course racer in history, said she and the Can-Am Maverick X3 produced the results she expected, but added that she looks forward to dialing in the Can-Am more to perform even better. Looks like the talented racer, mom, wife and fitness fanatic also has championship aspirations. Weller heads to the UTV World Championship (Best In The Desert series) race the weekend of April 5-7, in Laughlin, Nev. And Round 1 of the Lucas Oil Off Road Racing Series (LOORRS) in Arizona is slated for April 14, at Wild Horse Pass Motocross Park near Phoenix, Ariz.